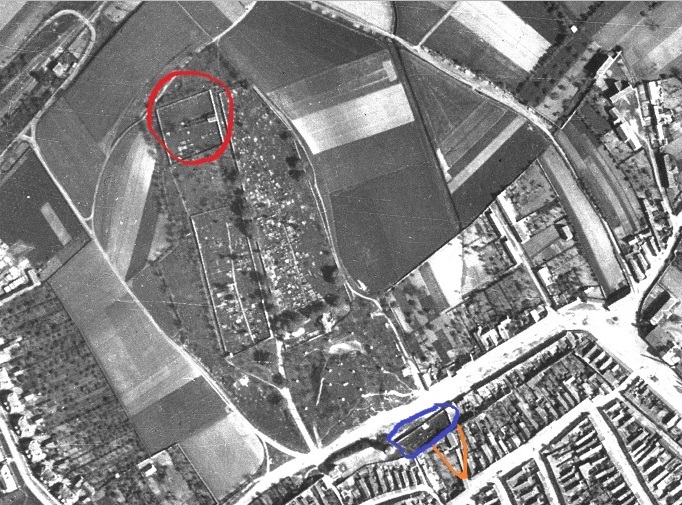 Air view showing Old and New Jewish Cemeteries and Synagogue location. 1938 air-view Old and New Jewish Cemeteries and the Synagogue. 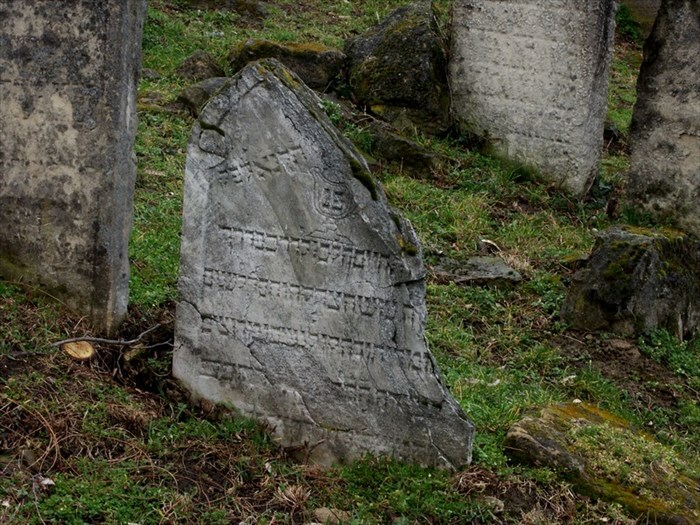 2014 Old and New Jewish Cemeteries and the Synagogue location. Part of the old synagogue is a car park. Old Cemetery, view into Skalica town. Synagogue house above the blue car. grave of Michael Yehuda ...? 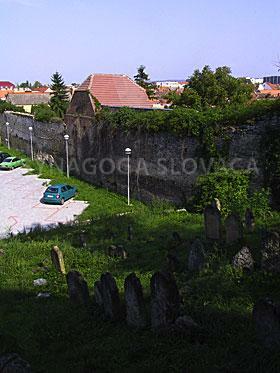 View of New Jewish cemetery from North, from Zeleznicna Street, over the Autobusova Stanica. passed away 90 years old..